Chive flowers are in bloom!!! They’re gorgeous and purple and mine grow like weeds during late spring. Chive flowers taste just like chives and are edible too. I’ve read that you can make chive flower vinegar, chive flower olive oil, fried chive flowers, adding them to salads or to breads and biscuits. I don’t use a lot of vinegar and I really don’t have room for a bottle of purple chive flower oil in my fridge….so that leaves baking or frying them. Even though I inherited a fryer from a neighbor, I’ve never fried anything and starting seems like a slippery slope. I already love baked donuts….but hot freshly fried donuts would be pretty hard not to make. That leaves biscuits. We LOVE biscuits, they’re easy to make and go with just about everything. Typically my biscuits contain a combination of clarified bacon fat and butter or just bacon fat. I’ve found bacon fat makes the biscuits more flavorful and flakier in my opinion. If you’re going to do bacon fat you might as well add cheddar cheese too, making these the ultimate savory biscuit. 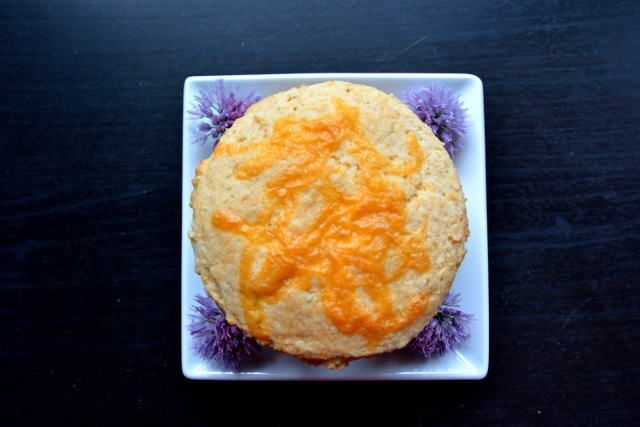 I think the chive flowers make these biscuits a little more special. I mean who doesn’t like eating flowers? I’ve also got a kitchen tip to make these biscuits even easier, prep everything up to the buttermilk in your food processor. Add your dry ingredients: flour, salt, baking powder, cream of tartar and sugar, pulse briefly. Add your cold butter, pulse until its entirely incorporated in to your dry ingredients. Then add the cheddar and chive flowers and pulse again. Pour in buttermilk and mix briefly with a spoon, until dough comes together. Or watch my tip in action. 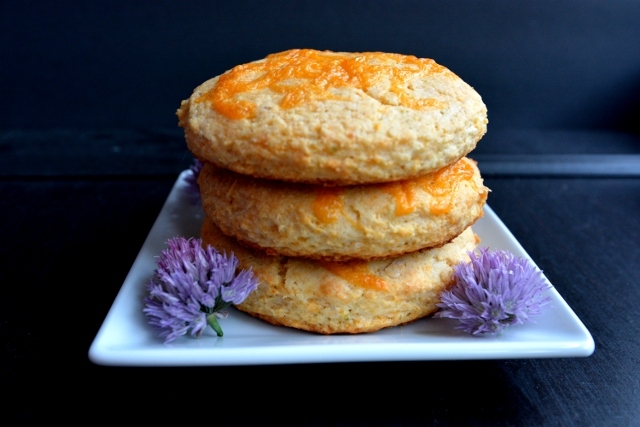 The perfect savory biscuit that uses the chive flowers to their full potential. With a hint of cheddar you'll wonder how you aren't having them with every meal. Preheat oven to 425 degrees and line two baking sheets with either parchment paper or silicone baking sheets. In a large bowl, combine flours, salt, baking powder, cream of tartar and sugar. Using a pastry cutter, incorporate bacon fat until the mixture resembles coarse meal. Stir in cheddar cheese and chive flowers, pour in buttermilk and mix with fork until dough just comes together. Turn dough out onto counter top and knead until it comes together. Pat dough until its about 1/2-inch thick and cut out biscuits using a biscuit cutter. Depending on my mood I either use a 2 or 3-inch cutter. Gently re-roll dough scraps and cut out as many biscuits as possible. 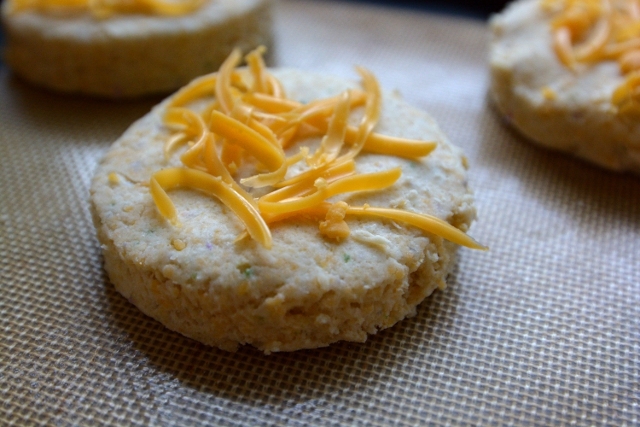 Place on baking sheets and sprinkle the tops of biscuits with additional cheddar cheese. Bake until golden brown, 15-18 minutes and serve warm.